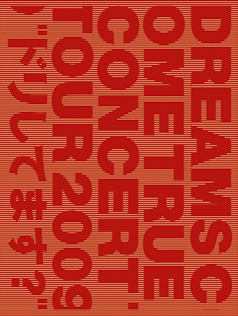 This is the limited edition DVD release of DCT’s recent concert series to support their 20th anniversary! Fans helped pick out the concert set list! The DVD even has a website! All live sounds were mixed by Ed Tuton. The mastering engineer is Vlado Meller at Universal Mastering Studios in NY. Mr. Fumihiko Sori, who is famous for Japanese movie “ICHI” and “PINGPONG”, was the director of the live video. He created such an exciting live video which is like a “movie” using super high quality video camera called “RED” at Saitama Super Arena.